No any external libraries (no BDE, ODBC etc) - native, direct and fast record loading. 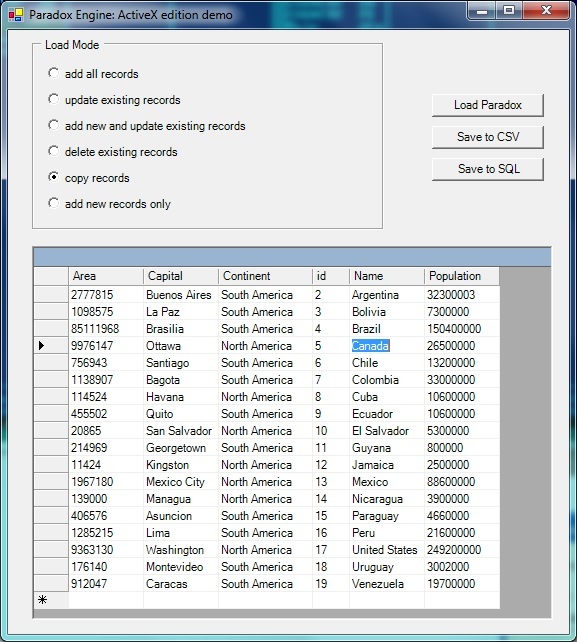 Just specify the target MS Jet/ADO connection and records from table (Paradox, dBase, Clarion, DBISAM, Advantage, TopSpeed) will be imported. All versions for Paradox/Clarion/Advantage tables and xBase/DBISAM formats supported (including password protected files). ShareIt Buy It! Buy It! Buy It!